Taking a page from rallies of the past, members of the transgender community are planning a series of events in the U.S. capitol, leading up to the first National Trans Visibility March (NTVM). Plans for the inaugural event are ambitious, beginning with the first Torch Awards event on March 31, designed to pay homage to a number of transgender people. The award program will then segue into a Trans Visibility Ball. The march itself will take place the following day, April 1. “Until recently, our existence was not counted, and our visibility was suppressed,” said NTVM Director of Ambassadors Aryah Lester via press release, but the event is seeking more than simply visibility. 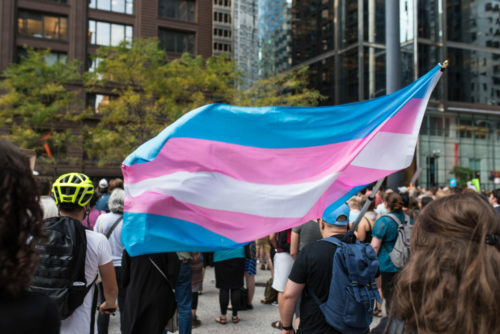 “The goal of the march is to let policy makers know and understand that the visibility of trans people is essential to how we shape healthcare, how we shape equity, how we shape what being human and existing with the same rights of everyone else,” said NTVM Organizing Director Marissa L. Miller. The march is expecting 5,000 people, with many expected to bus in from around the country. The event has coordinators in four regions of the country, planning travel logistics out of several cities, including New York, San Francisco, Memphis, and others. While the event has received a fair amount of visibility so far, it is unclear if they will be able to pull off everything they have planned. Only 352 people — well short of the 5000 anticipated by organizers — have indicated via the event’s Facebook page that they are interested. The event is due to kick off in 72 days, but specific details remain thin beyond their official website. For example, there is not clear information on their website to show where in Washington, DC, the march, awards, or ball will actually be held, or the specific timing of these events. None of this seems to faze organizers, who are already setting their sights on 2020 and beyond.